This is a recurring fact that every country in the world has been affected by HIV/AIDS epidemic, including Muslim countries as well as Pakistan. However, the intensity of this epidemic is not much severe in Muslim countries except some African states, but this should not be taken for granted. The situation can grow worse. The UNAIDS estimates are that since the start of the global HIV/AIDS pandemic, around 29.4 million people have already been infected with it. HIV/AIDS infections are being reported in every country day-by-day. According to the National AIDS Control Programme, there are 4,000 registered HIV/AIDS cases in Pakistan but that more accurate estimates show that total cases are around 80,000, with 15,000 cases occurring among women. HIV/AIDS spreads mainly through sexual relations with an infected person. The virus is also transmitted through the sharing of needles by intravenous drug users. Therefore, HIV/AIDS can affect anyone who engages in such kinds of activities, and religion can only play the role of a resistor.We are talking about misconceptions, which keep us away to talk about the reproductive health and sexual issues with each other. Parental care does not include brain streaming of the youth about their sexual health issues before they can get affected by them. Islam as a religion of nature advocates removing misconceptions, but our social structure does not allow us to discuss sexual issues because Pakistan is a conservative society. Our society influences all elements of our life such as politics, legislation, customs, beliefs and attitudes. Strict social and cultural norms of our society inhibit discussion on sexual behaviour not only at public forums but also among family members. Human life is highly valued in Islam, it is considered a gift from Allah. As per the Islamic view, Muslims are not supposed to think that it is their life with which they can do whatever they want. Instead, individuals have been entrusted with life by Allah. We are supposed to look after life and not abuse it. A healthy body is a gift from Allah, we are the trustees, and therefore we have no right to misuse and abuse it.Our Holy Prophet (PBUH) has stressed the importance of health on many occasions. He once said to his companion, "O' Abbas, ask Allah for health in this world and in the next" (Al-Nasa`i). "No supplication is more pleasing to Allah than a request for good health" (Tirmidhi). The Prophet Dawud (PBUH) also said, "Health is a hidden kingdom." Our bodies are trust from Allah that must be returned one day and we will be asked how we looked after it. Therefore, we should avoid any act which will harm our physical or spiritual health.Discussing HIV and AIDS would involve discussing sexual and intimate matters. Islam has always encouraged discussions on matters which help us protect our health and life. The Holy Prophet (PBUH) has said, "Blessed are the women of the Ansar (citizens of Madina), shyness did not stand in their way for seeking knowledge about their religion" (Bukhari and Muslim). The Holy Quran and hadith have repeatedly stressed the importance of getting knowledge. "Are those who know equal with those who know not?" (Quran 39:9, Pickthall). It is through knowledge that we can achieve closeness to Allah, marvel at his creative work, and appreciate the divine rules of conduct given in the Holy Quran and practiced by the Holy Prophet (PBUH) and his companions. We should not feel embarrassed or shy when discussing or reading about HIV/AIDS.Islam is a religion that is very close to human nature. It advocates and encourages marriage, so that through marriage sexual desires can be fulfilled. However, marriage is not only a pure life way, but pure and strong foundations for the continuation of the chain of human beings. Like other heavenly religions, Islam provides us with a moral code for having sexual relations. Islam also prohibits the use of substances, which may impair senses. Therefore, the use of narcotics such as heroin and alcohol is strictly prohibited. Islam means the submission or surrender of one's will to Allah, and therefore it follows that a Muslim should not be involved in any act that is prohibited by Islam. Accurate information about HIV and AIDS will help control the spread of the disease in our communities. 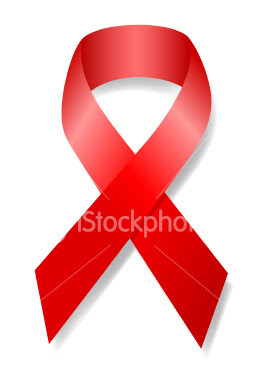 It will also reduce the fear and discrimination against people who become HIV positive. Information will also help us challenge any myths surrounding the disease. There is a need to accept reality and develop HIV and AIDS educational programmes for all our communities. These programmes must emphasise Islamic moral values and should also inform people about methods of protection from this life-threatening illness. 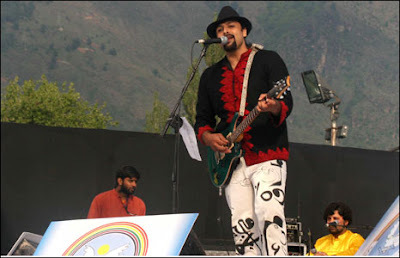 Junoon, a Sufi pop band, is the first international group to perform in the conflict-torn Kashmir for the past two decades.